On the 20th of December 2015, the UK and rest of northern Europe witnessed a rare kp7 aurora. This being the second only time that I have witnessed it (both times from my own home), Both times were not visible to the naked eye due to light pollution, but I captured them with a long exposure. 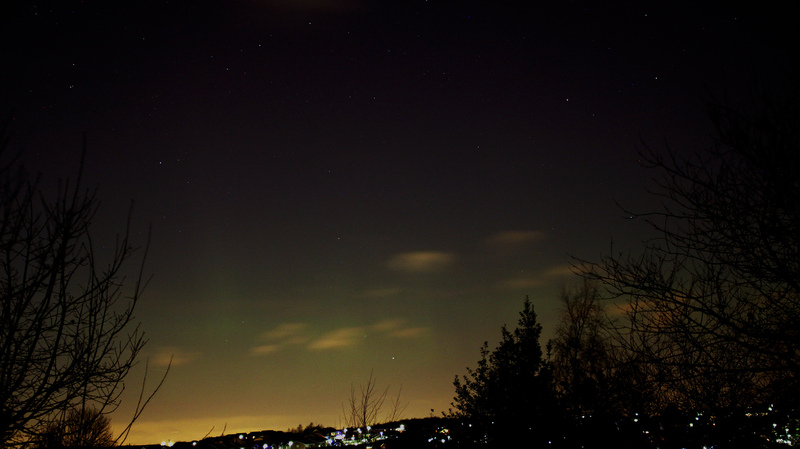 The image above is from the 20/12/15 Aurora. As you can see there is a green haze in the bottom 1/3 of the image and what look to be pillars at about 1/4 from the left and again very slightly at about 1/3rd from the left.